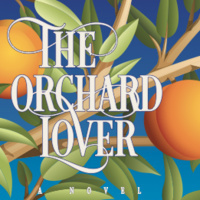 Each year Alden Forth takes a lover, only to let him go after a few short weeks. That is until the summer she finds her simple way of life threatened as her grandfather, her last surviving relative, descends into dementia. The arrival of a revivalist minister further upsets the balance in Alden's rural hometown, for the minister's vehemence to save souls has no bounds. Quickly the town's carefully constructed boundaries begin to crumble. Alden must face the truth about her grandfather's disease and the damning accusations of the minister and decide whether love is the thing that will save her or if it will destroy the only life she's ever known. Christianna McCausland is an independent writer based in Maryland. Ms. McCausland is a graduate of Emory University and attended the Johns Hopkins University’s Masters in Writing program. Her nonfiction articles have appeared in publications including The Christian Science Monitor, Better Homes & Gardens, Baltimore magazine, The Baltimore Sun, People, and at CNN.com. She is the author of the nonfiction book Maryland Steeplechasing.